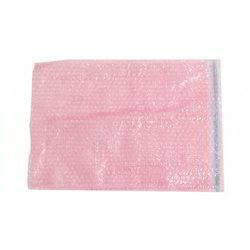 Manufactured with the latest technology, our wide range of Antistatic Bubble Bags is appreciated all over the world frothier durable and reliable performance. These are available in cut sheets, pouches, and roll form with a surface sensitivity of < 10^12 ohms/qs. We have earned great accolades in the industry by manufacturing a wide range of Antistatic Foams that are available in Hard Expanded polyethylene (EPE) and Soft Polyurethane (PU) material. 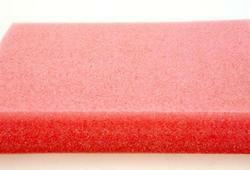 We offer these Foams in thickness of 2mm, 5 mm and any other thickness as per customer's requirement. Further, to suit the varied requirements of the clients, we can also offer the customized range of these Antistatic & Conductive Foams. The high quality of cross-linked Conductive Foam are created when the carbon-compounded plastic resin is melted and expanded by the dispersion of gas in the liquid resin. 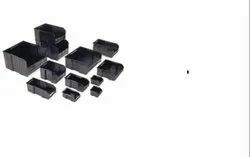 4 types of Foams, PE, PU EVA, and AR are available and they can be used in ESD packaging Industries to protect sensitive IC chips and finished devices from ESD damage and outer impact during the transportation and the storage. 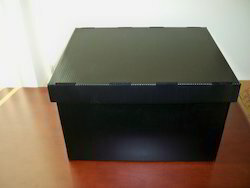 This ESD PP Box is widely used in Electrical, Electronic, Pharmaceutical, Defense, and IT & Telecommunication industries.Our products are all manufactured as per various industrial standards ensuring their high quality and efficiency and widely acknowledged for their excellent performance and their durability. We have also designed a wide range of Moisture Barrier Bags that are specially designed for dry packaging of moisture sensitive components. These are constructed with a static dissipative outer coating, a polyester barrier layer, polyethylene and static dissipative inner coating that ensure maximum resistance to water and vapor. 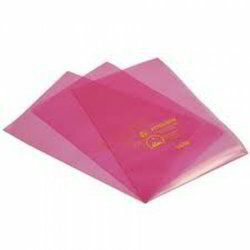 Leveraging on our industrial experience, we have also been able to manufacture a wide range of Static Shielding Bubble Pouch that are available in various designs and dimensions. These are manufactured using latest technology that provides EMI / RFI shielding and ESD control for PCB assemblies. 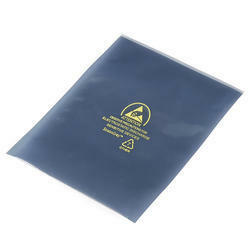 Our collection of Static Shielding Bags are manufactured in ROHS compliance and appreciated as the most reliable, readily available, and competitively priced static shield bag in the electronic industry. 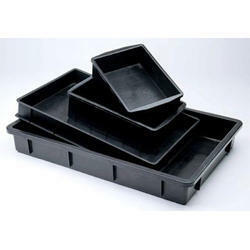 These provide a static-safe environment for sensitive electronic devices and are available in different sizes. 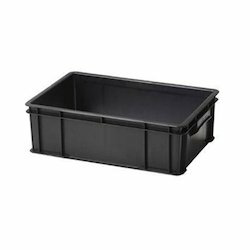 These Bags are offered with strong 2-Seal configuration with bottom folding or 3 sides sealing if required. SSB is manufactured by depositing a thin metal coating, like aluminum over an antistatic polyester film substrate. 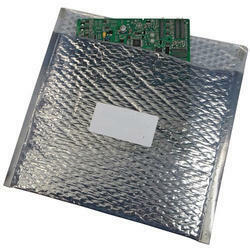 This metalized layer protects the devices or the components in the bag from electrostatic fields. According to the position of the metalized layer, there are two types of metalized shielding bags, Metal-In and Metal-Out, in the market. 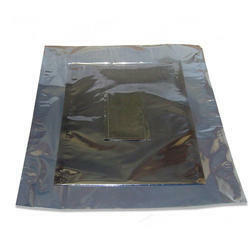 The metal-in or buried metal shielding bags are the most commonly used and recommended for packaging of static-sensitive components. 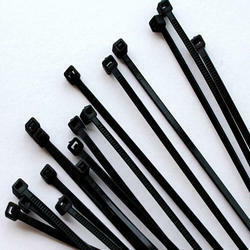 They also tend to be superior to the metal-out bags in durability and cost. 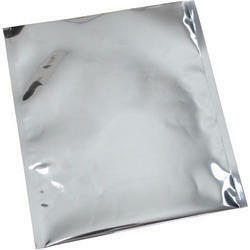 outside surface so these bags have lower resistance readings than the metal-in bags, which can be important in some applications. ESD assembly trays provide effective protection for handling static sensitive parts, electronic components, assemblies and loaded printed circuit boards. 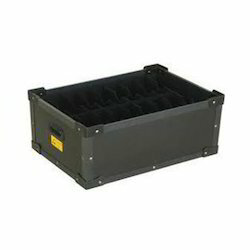 The perfect choice to convey, carry, accumulate, and warehouse a variety of static sensitive parts or assemblies. 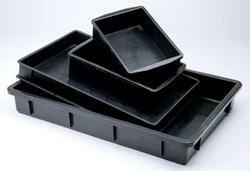 Made of reinforced thermoset polyester composite material, these trays offer permanent ESD properties without requiring surface treatments.